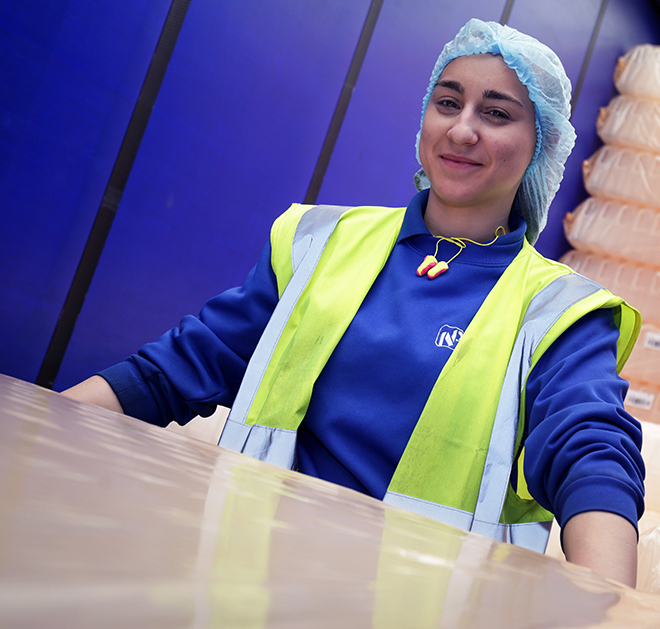 Our talented and skilled people are central to everything we do at Nampak Plastics Europe. We want to hear from highly motivated and ambitious people who want to help further develop our business and share in our continued success. Details of our graduate and undergraduate programmes are listed below. Our application forms can be found via the link to the right. You can apply by downloading and completing one of the forms, and then sending it to the contact details found at the bottom of this page. Nampak Plastics Europe employs over 400 people across multiple sites in the UK and Ireland. We are committed to helping our employees succeed and offer excellent career prospects as well as a range of training and employee development programmes endorsed or accredited by the Institute of Leadership and Management. Nampak Plastics prides itself on being a great place for our people to thrive in their careers. Our CSR programme is also really important to us. All of our employees are actively encouraged to be involved in the company’s initiatives, and we have a range of awards in place to recognise individual contributions. The opportunities are endless for Nampak Plastics’ graduates. Nampak Plastics’ graduate programme supports our company’s succession planning process and is designed to ensure that talented individuals join Nampak with a view to a long-term career with the company. Graduates are mentored throughout the programme by a Nampak board director and also receive career coaching. Participation in an Institute of Leadership and Management accredited leaders’ programme. Nampak Plastics provides a twelve month industrial placement for undergraduates where this is a required part of their degree course. Placements are available in HR with the option to work alongside other departments such as, Finance, Production and Engineering and is designed to benefit both the undergraduates’ own development and add value to our business. Undergraduates report to a line manager and are supported by a designated mentor throughout the placement. Involvement in Nampak-supported local community projects, e.g. Business Advisors with Young Enterprise and reading partners in primary schools. If you have any questions about the placement, please do not hesitate to contact Greg Ward directly.